Croydon’s approach to its apprenticeship programme was “simply exceptional” according to our judges – a great example of how to manage a multi-generational workforce and promote knowledge transfer. Our judges said Virgin Money’s holistic approach to D&I – where “Everyone can be their true self” – had achieved “fantastic” results. A truly innovative approach to drive change which continues to hold senior leaders to account for the project’s success. St Mungo’s is a charity working with people who are sleeping rough, or at risk of homelessness. Our judges said their three-year D&I strategy was “determined, well thought-out and meticulously planned”, with a clear focus on positive action. Our judges said Comply Direct’s submission was a very high-quality, showing a clear link between reward and high performance. Its benefits strategy provided great results for the business and its employees, producing excellent results for a growing business. UHMBT has been on an incredible transformation over recent years after facing huge morale issues. Our judges described the turnaround as an extraordinary effort that showcased the importance of employee voice and a great example of how empowering your people can improve patient care. Audley Group is a growing provider of luxury retirement villages. Judges said that authenticity shone through in the employees’ stories used in its recruitment marketing, and this was backed up by strong metrics to demonstrate the positive impact on the employer brand. Eversheds Sutherland “ticked all the boxes” according to our judges. The bespoke employee relations function it provided for its client seamlessly integrated technology with management process, allowing the customer to identify emerging trends that it could address. An impressive project in conception and scale. Royal Bank of Scotland’s use of chatbots and artificial intelligence to improve the service it provides to internal customers was described by our judges as “excellent”, “innovative” and “complex”. The bank was congratulated for its structured approach to continuous improvement and for delivering clear financial and operational benefits. With a rich history in motor racing, McLaren Group is renowned as one of the world’s most illustrious high-tech brands. Our judges said that McLaren took pole position for its “superb” approach to modern learning with significant return on investment for the business. Her Majesty’s Land Registry faced a severely ageing workforce and with only 1% of colleagues under 30 years old. Its apprenticeship scheme, recorded excellent retention rates and our judges said that HM Land Registry clearly achieved exactly what it set out do. Unlocked is a charity attracting high-calibre graduates to work in HM Prison Service, injecting insights and energy into the rehabilitation of prisoners. Judges described the recruitment scheme as genuinely “strong” and “inspiring”. Mandatory mental health training for managers resulted in a reduction in overall psychological distress, increasing employee resilience in the longer term. “A powerful example of what can be done in the most challenging of environments,” said our judges. Real People HR offers expert support to both private and third-sector organisations. Judges said that Real People HR had clearly achieved a lot – a really nice example partnership, analysis, challenge, co-operation and trust. A sincere and brave effort. William Hill’s retail MD said “Louise Benford has an extensive understanding of all aspects of my business, not just the people. She is balanced and commercial, she speaks with authenticity and people listen.” Our judges agreed… Louise drafted in expertise across the organisation to deliver a strong solution that made significant impact. In this highly competitive category CBRE demonstrated their ability meet a massive challenge under pressure. CBRE took over Carillion’s facilities management contract with Centrica, transferring 450 staff in the space of just a week. An “amazing achievement” said our judges. Let’s Get Healthy’s entry outlined its excellent work at the Co-op, Travis Perkins and the A.C.C.A. where it was hired to improve team resilience and mental wellbeing. Judges were particularly impressed at Let’s Get Helathy’s ability to tailor its offering to suit its clients’ needs. The HR team played a major role in William Hill’s biggest ever restructure, working with stakeholders in its retail division. 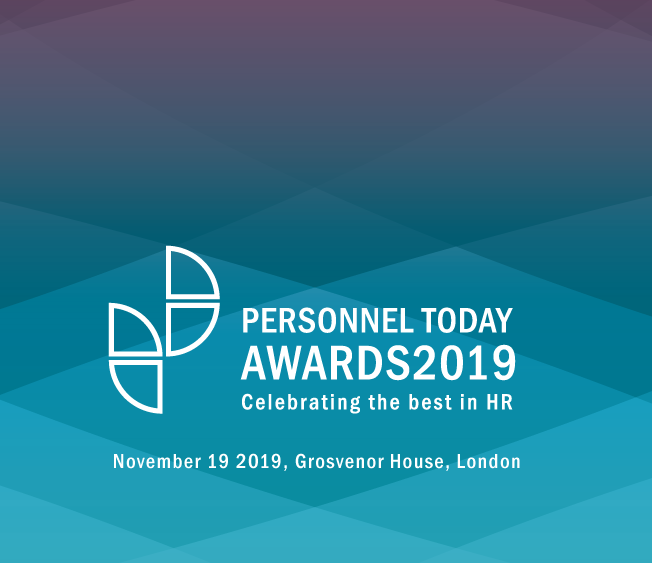 Judges said they’d “raised the bar” with the business saying they “valued the knowledge, and expertise that HR brings to the team daily”… an outstanding achievement. From “All Bar One” to “Vintage Inns”, Mitchells & Butlers runs some of best known restaurant and pub brands. One of our judges commented: “If you ever doubted the role and impact of L&D, then take a look at what the Mitchells & Butlers team has achieved”. Their second trophy of the night – the transfer from Carillion was highly structured, with an emphasis on support, communication and empathy. CBRE clearly identified the benefits and showed the extremely valuable role HR had to play in supporting the change. Leading workwear supplier Johnsons Apparelmaster really impressed our judges. “I love their style!” said one judge while another said its talent academy lent a “freshness and verve” to the business, providing individuals genuine opportunity in their careers.